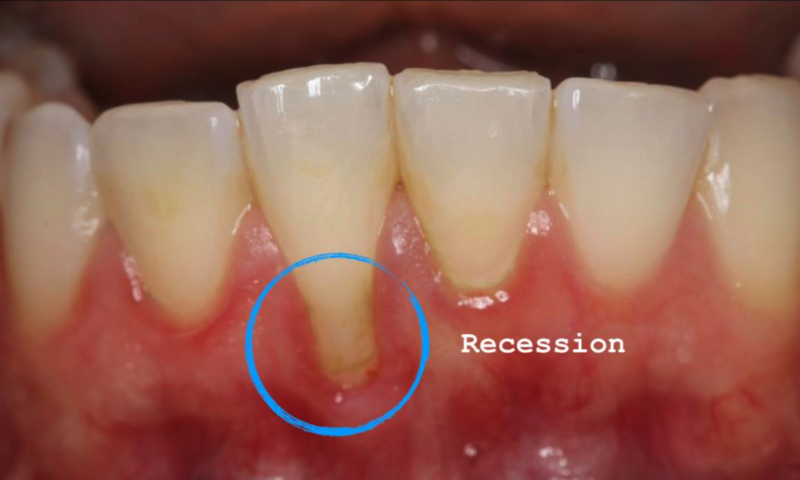 Recession can be caused by genetic predisposition for thin gum tissue, compounded with aggressive brushing habits and abrasive toothpastes. 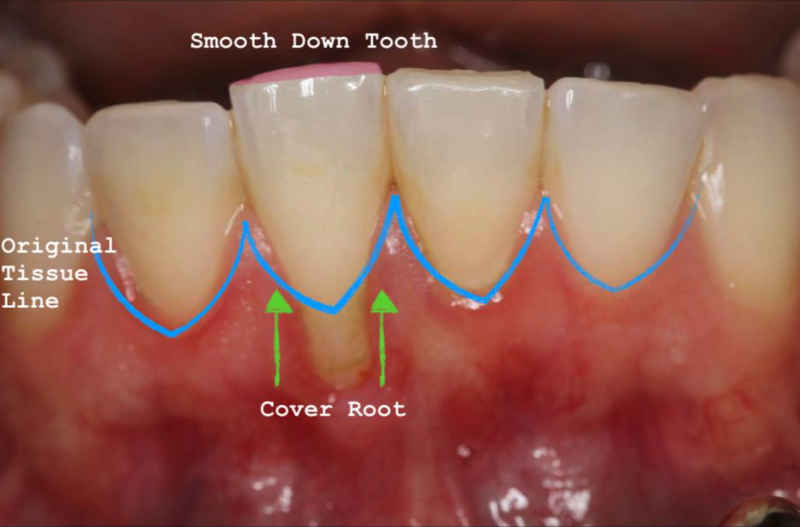 In a healthy mouth, the roots of the teeth are covered with the gingival (gum) tissue. This protective covering blocks the tooth from the susceptibility of sensitivity and the potential for cavities on the roots. How do we treat recession? The gold standard of tissue grafts is your own tissue. This is usually done by borrowing a very small area from the roof of the mouth and covering it with the gums at the site of recession. Esthetics usually match wonderfully because it is your own tissue that we are able to use. In specific types of recession, we are able to use donor tissue. The tissue has passed the strictest requirements set by the American Association of Tissue Banks and is processed in a way that removes all living components. The tissue is completely sterile and acts as a matrix for your body to rebuild its own tissue in its place. 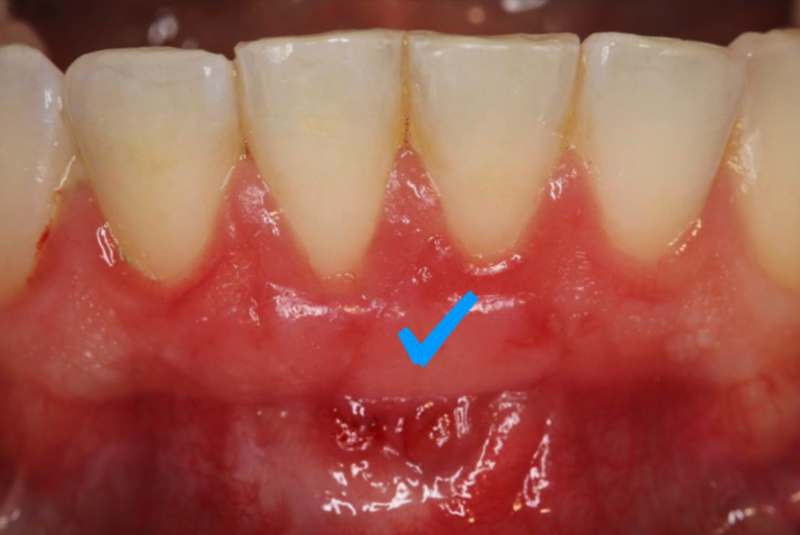 The advantage to donor tissue is there is no removal of the area on the roof of your mouth.